AddressThe address for this sale in Dunlap, TN 37327 will be available after 9:00am on Friday, May 3rd, 2019. Cash, Check, debit, and credit cards. (A 3% convenience charge will be added to all credit cards charged). NOT responsible for accidents or injuries. All sales final. No exceptions exclamation no refunds or returns. Bring help to load. Sold as is, where is. Must bring help to load and move your purchases. No prices quoted prior to sale exclamation no items held prior to sale! Note: family has a final walk-through. Not responsible for damages while loading. Please bring help to load. Please do not block Street, neighbors driveways, or mailboxes. 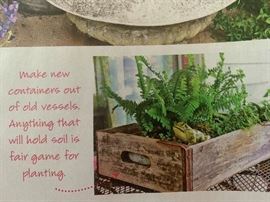 We have Nesting Boxes...Clay Pots...Watering Cans, Create this look! 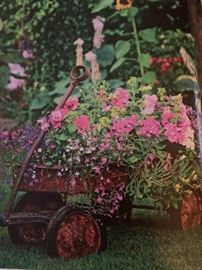 We have some old vintage wagons for you to plant in your Garden! Lots of Old Boxes...for many uses! Make Your Own Tire Swing! We have the Tires! 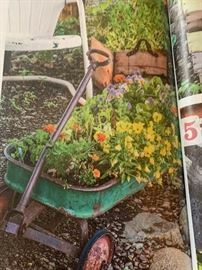 Our Old Wagons can be planted in your Yard! 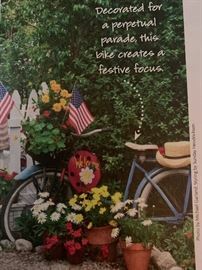 Use one of our Bikes in your Garden as a fun Focal Point! 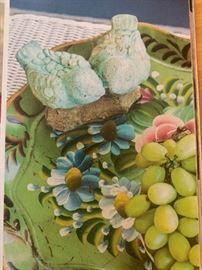 Come Check out the Enamel Bowls we have! Lots of Yard Tools Available for fun Decorating! Ladders create interest and charm in landscaping. We have lots of shovels...this one used as a door handle! Do you love a Country Garden? We have the tools to create this look! 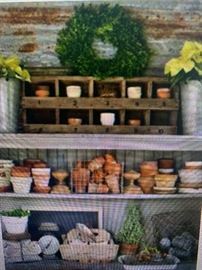 Available in the Barn...Clay Pots, Enamel Pots, Garden Decor! 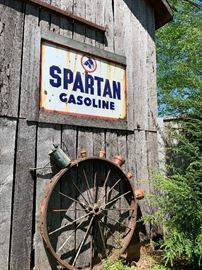 The Greenhouse is full of unique Garden Paraphernalia...we have lots of Barnwood...Pots...and a Fun Details! Do you Love this Chippy Look? We have lots of Materials in the Barn! Create this look! We have lots of these Great Green Vintage Light Fixture! 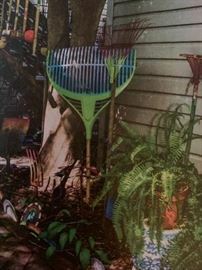 Decorate your area with yard tools and horse halters! Do you collect Oil Lamps? We have a few! Tires, Tires, and More Tiles! We have different sizes too! Cute way to use the many Metal Baskets we have at this Sale! 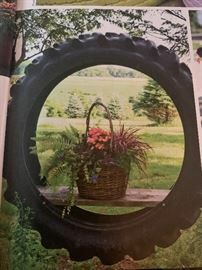 Fun use for your Tire selection! We have lots of Vintage Frames...Buckets...and Baskets! We have a ton of yard tools! Ladders and Birdhouses are in the Barn! 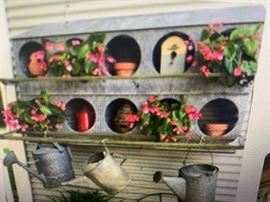 Our Birdhouses would make Adorable Planters! We have a hugh Collection of Chicken Boxes! 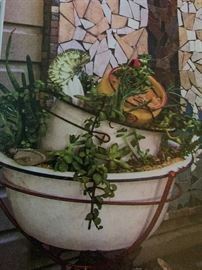 Create this look at your home! Planters, wheels, and yard tools! We have lots of cool old frames for your next Pinterest project! Check out our project pieces! Turn one of our Doors into a Super Cute Swing! We have a few Doors like this! Super fun! Or make a cute Picnic Table with our Doors! We have Doors...the possibilities are Endless! We have several Vintage Doors...some have Chalk Boards on them! Pinterest to the Rescue! 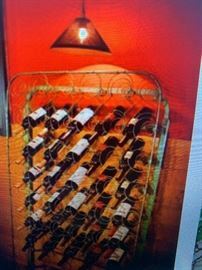 Make a cute Bar! We LOVE this Idea! We have Doors and Vintage Tin to create this Look! Bars from Vintage Doors are Amazing!